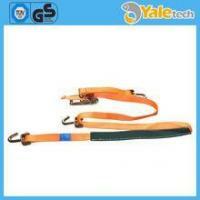 Hangzhou Yale Industrial Co., Ltd.
To secure vehicles on flatbeds, car transporters and trailers. 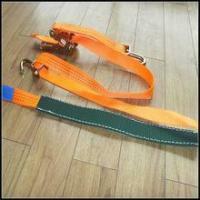 Made of 100% PES belt, low elogation,long-life material. * Load restrain using a tension device(ratchet). * Effective and safe control of loads during transportation. 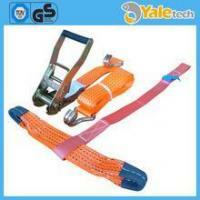 * Extremely quick and efficient tie down and release the load thus saving time. * No damage to the load being tied down. * Only trained and authorized persons are permitted to use the ratchet tie down. * Working Temperature: - 40°C to + 120°C for polyester (PES). 1. 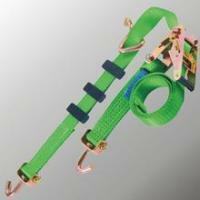 Do not exceed the lashing capacity indicated by the manufacturer! In the case of improper use, the transported articles can not be secured correctly and may cause damages. 2. Protect the webbing against sharp edges! 3. 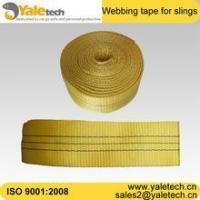 Examine the wear or damages of the web lashing before each use. 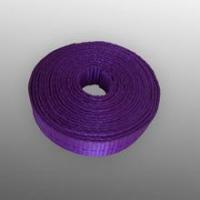 If any wear and damages at the webbing or damages at the metal parts, do not use the ratchet tie down any longer. 4. 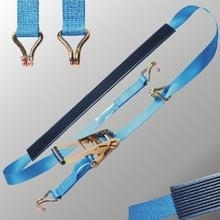 Make sure the webbing is fitted without twists and in such a way that may influence the rated lashing capacity, otherwise it may cause damages.